Isaiah knows nothing but love from his father, Major. The 3-year-old doesn’t know of his father’s journey out of the criminal justice system or the struggles he’s endured. All he sees is the joy on his dad’s face as the two play or read books together. 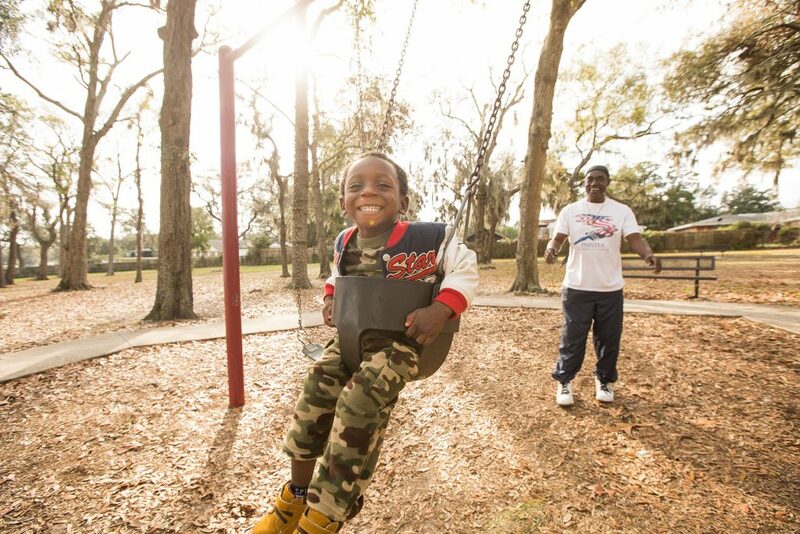 With the help of Children’s Home Society of Florida, Major has received support to keep the hope and joy in Isaiah alive and help put him on a path to success. Major and Isaiah found CHS when Isaiah was just an infant. After a few months in the care of his grandmother, Isaiah was reunified with his father, where they began building the life they share today. In their cozy one-bedroom apartment, Major spends each morning preparing Isaiah for preschool. With the help of CHS, Major and Isaiah have had opportunitiesy to grow individually and as a family. Through weekly sessions, Isaiah receives dedicated attention to help him develop socially, emotionally and intellectually – which helps prepare him for school. Simultaneously, Major receives support to tap more into his strengths and confidence as a parent. Beyond reading together, the two have another favorite activity – playing on the playground. As they play, it becomes clear why Major calls Isaiah “happy baby” – no talking, just belly laughs and giggles shared between father and son. As they chase each other and race down the slides, the challenges they’ve faced are nowhere in sight.